A lot of learning goes on in the classroom: from life skills to academic knowledge. A visual display of positive character building phrases and quotes will go a long way in helping students and putting them on the track to success. 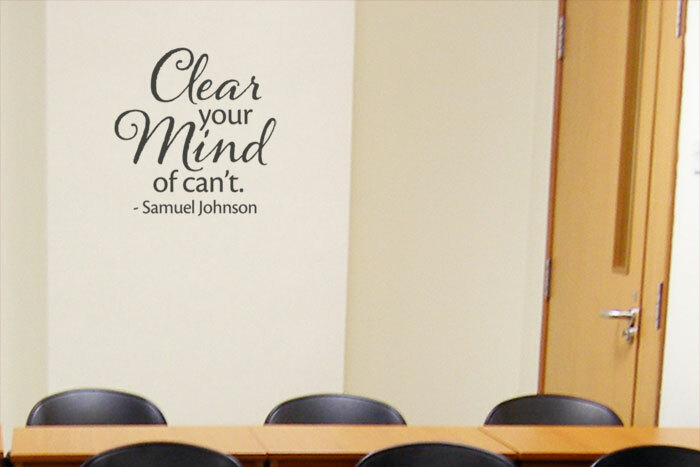 At DecorativeLettering, we have wall words that teachers can use to create an environment that is right for learning. 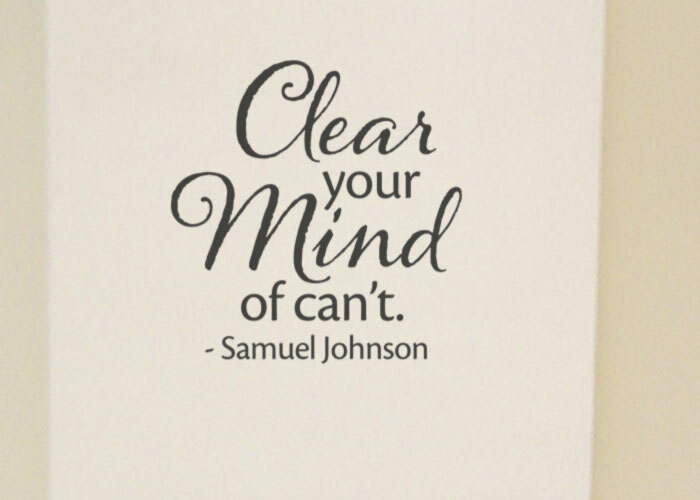 As shown in this photo, the black lettering was applied onto a focal point in the class. They tie in well with the furniture: chairs and table. Matte finishing enables everyone to see and read them without any glare problems. They will remind the students to never give up. 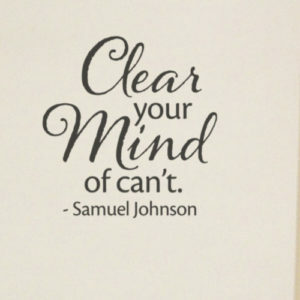 Our ‘Clear your mind of can’t – Samuel Johnson’ wall letters come in various sizes, color, and style. This means that you can have wall decor that is in tune with the school color and decor theme. Ordering for them is pretty easy on our user-friendly web site. Use the previewer to confirm that you have made the right selection for your class. Applying will be equally simple. Remove the underlying paper and paste the sticky side of the wall lettering to the wall. 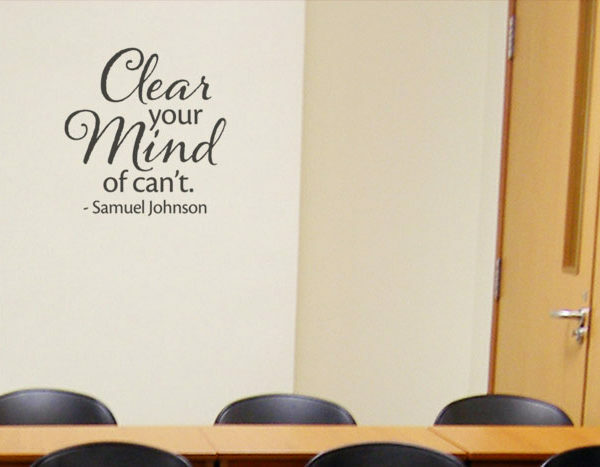 If you are looking for wall quotes that will inspire your students and make use of empty space, try DecorativeLettering products. They are easy to apply, affordable, durable and easy to maintain. 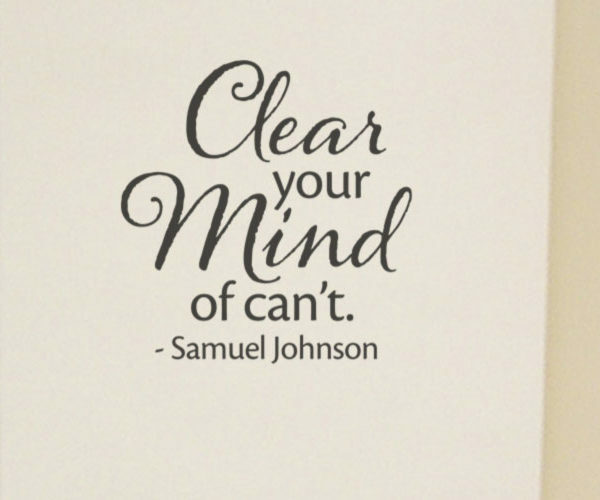 Let us help you create a great learning environment for your students!